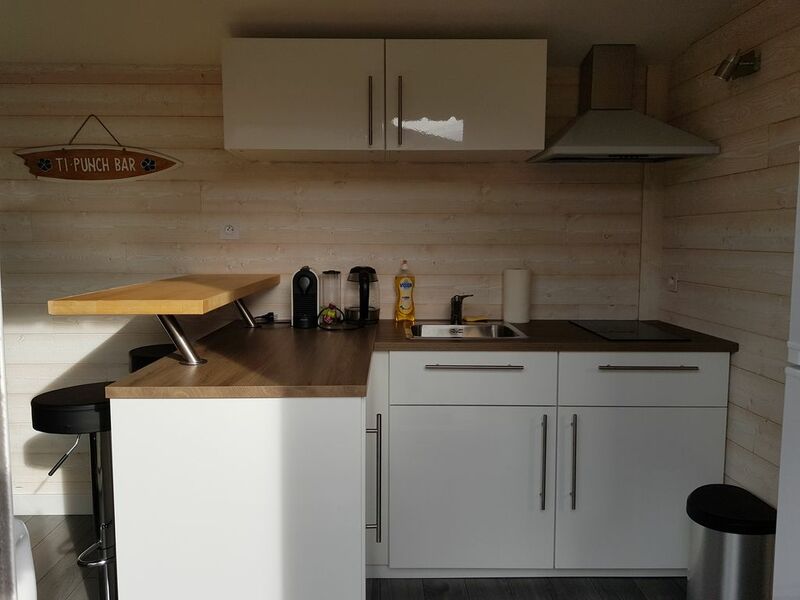 Shed of 22m² fully renovated, 1 living room with sofa bed (perfect for a child) kitchen, 1 bathroom with walk-in shower and toilet, 1 separate bedroom, a terrace in grating with garden furniture, 1 small garden with 2 sunbathing and hammock. The housing, independent and fenced, is located in the garden of our house, at the foot of the dunes. It is located 100m from the walkway leading to the guarded beach of the Horizon, and the little train that serves the jetty Belisaire. The end of the impasse gives access to the path of the coast, allowing beautiful walks along the tip of CAP FERRET. The market, the city center and the landing stage are at 1km on foot. Sheets, towels and beach towels are provided, and a washing machine is at your sole disposal. WIRELESS. Discount depending on the number of nights. An umbrella bed can be made available. Dogs are welcome ! !